AIIMS assistant engineer arrested for taking bribe - Integration Through Media ....! 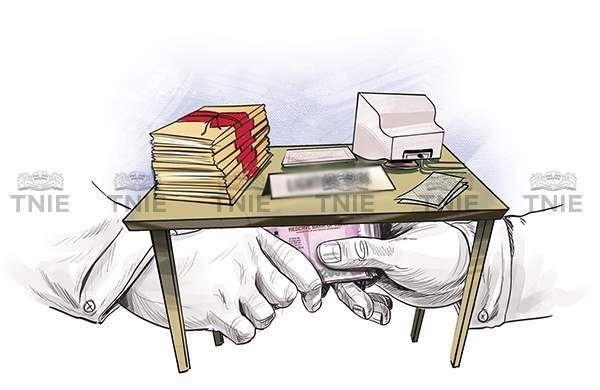 NEW DELHI: The Central Bureau of Investigation (CBI) on Wednesday arrested an assistant engineer of the All India Institute of Medical Sciences (AIIMS) for allegedly taking a bribe of Rs 19,500, officials said here. Searches were also conducted at the official and residential premises of the accused. The officials informed that K.D. Biswal was caught “red-handed” by the CBI team when he was accepting the bribe from the complainant, a civil works contractor, for clearing its bills.